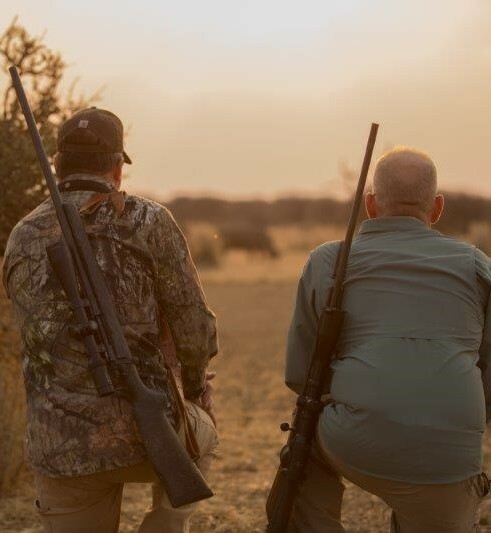 On an 80 000 acre large privately owned property, home to all the big game such as elephants, white & black rhino, hippo, leopard, cheetah and lion, as well as all the other species on our price list and many more, your hunt will will be truly an African experience. 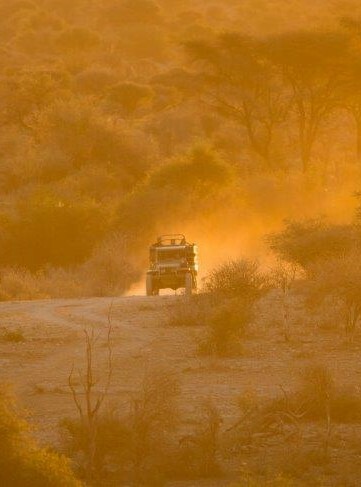 Once you leave the hunting lodge, you will be on hunting grounds, in the midst of pristine Namibian wilderness, teeming with wildlife. The diverse Namibian landscape includes mountain ranges, savanna, bush and open grass plains and provides a habitat for a wide range of animals. 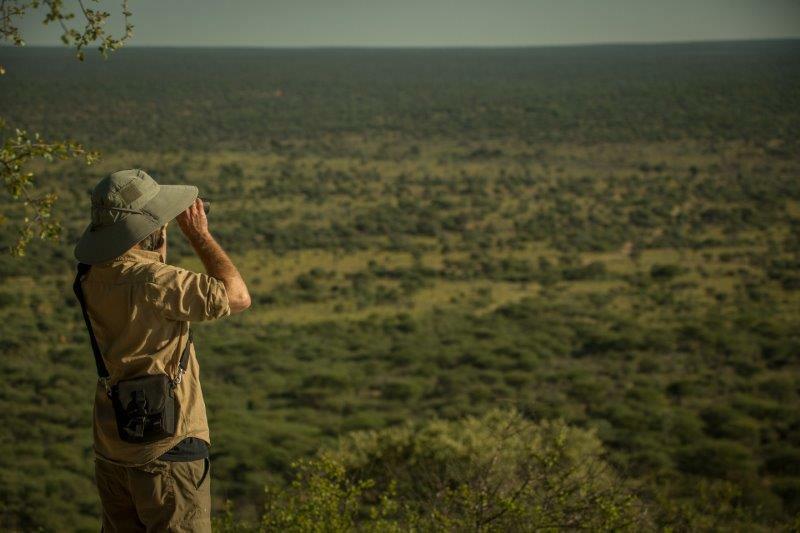 Hundreds of different bird species thrive in our area, as do non-huntable rare species such as the serval, bat-eared fox, aardwolf and aardvark. Another 120 000 acres of surrounding concession area are available for hunting species whose territories are more extensive, such as leopard. 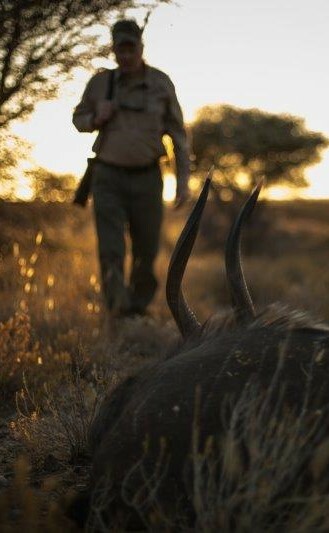 The hunt is configured according to your very personal requirements and expectations. 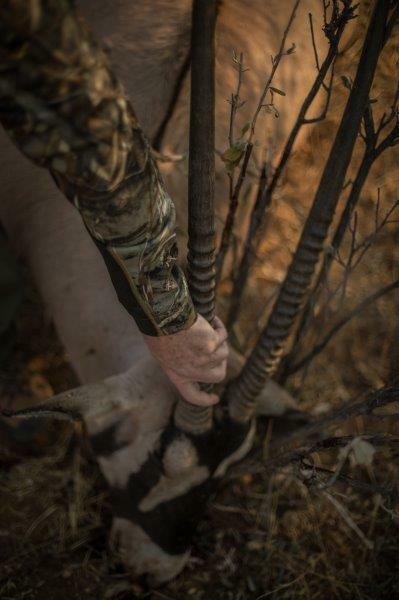 Elderly and disabled clients are able to approach most species by car, but other hunters prefer a good stalk. Parents taking their children on a first time hunt can rest assured that our PHs are excellent mentors of the hunting trade. Non-hunting observers are welcome to come along on the hunting adventure. Many of our clients bring along their families. 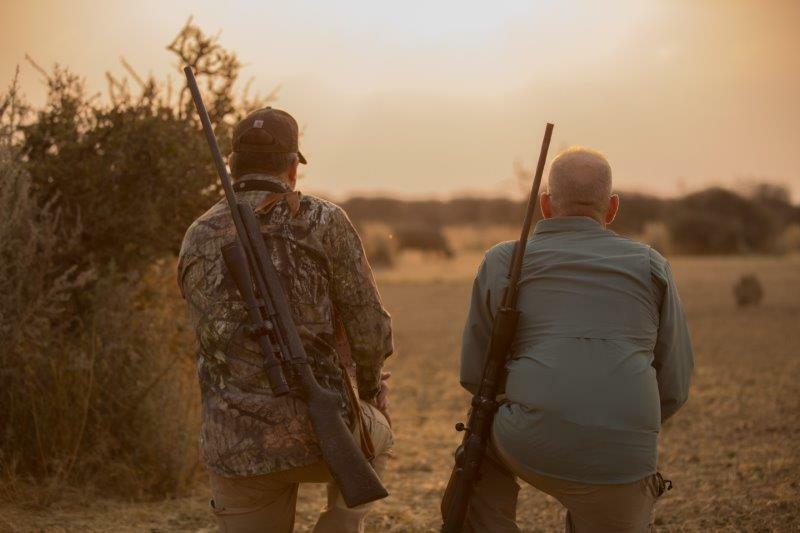 Below promotional film features PH Steve Tors and son Oliver Tors on hunting expedition. 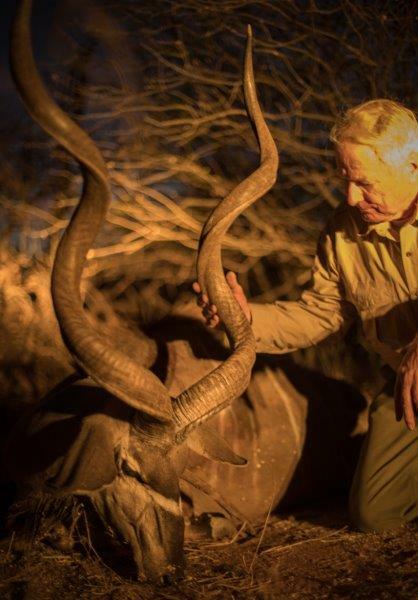 Filmed, directed and compiled by PH Rudie de Klerk at Jan Oelofse Hunting Safaris in March 2014. The hunting area varies geographically and throughout seasons. Savannahs, grass plains and mountain stretches provide a diverse habitat for various species and will allow for great hunting and photography. During winter (June - August), temperatures may be below freezing (32 degrees Fahrenheit) in the early mornings and at night, but will increase substantially throughout the day. 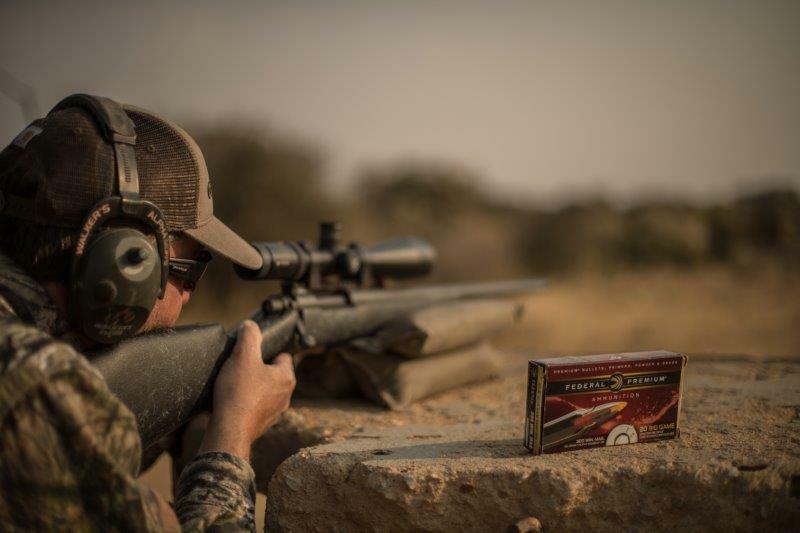 Hunting during the Namibian winter season is recommendable in general because of the colder temperatures and particularly for bow hunting. 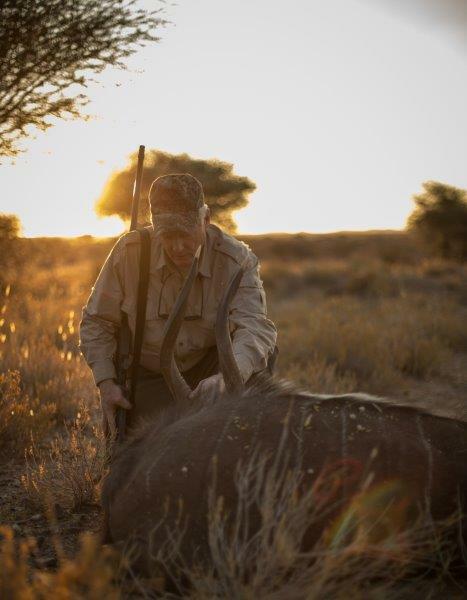 Winter is dry in Namibia, and animals frequently visit the water holes equipped with bow hunting blinds during this time. Snakes are very rarely seen during winter months. During summer months (December - February), temperatures in Namibia reach temperatures of up to 35 degrees Celsius (100 degrees Fahrenheit). Rainfalls are heaviest during December and January. Landscapes in Namibia are beautiful during February, with abundant water and trees and grasses in bloom. Autumn (March - May) is relatively warm, with temperatures of around 25 degrees Celsius (77 degrees Fahrenheit). Temperatures are moderate to mild, the grass and bush still thick but with a yellow hue. Usually no rainfalls during autumn months. During spring time (September - November), temperatures are around 25 degrees Celsius (77 degrees Fahrenheit). Some early rain might occur, but otherwise the landscapes are very dry. Most our clients bring their own rifle. Bring a rifle that you are most comfortable with, as well as a good pair of binoculars. A heavier caliber is recommended for the larger animals. We have a 30.06, a 270 as well as a .375 available, if you do not wish to bring you own rifle along. We charge U$ 15.00 per day, in addition to ammunnition to be used, for a hired rifle. To speed up the documentation process upon your arrival, have a document at hand that states proof of ownership and lists all inscriptions. You will be issued a temporary import permit at customs upon your arrival. Paperwork usually will not take long to complete. No handguns are allowed into Namibia. 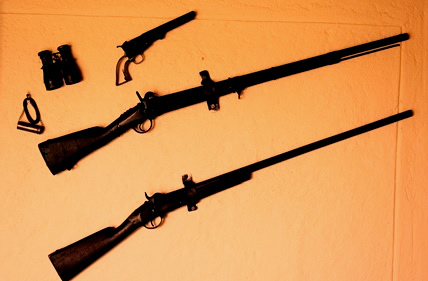 Up to 100 rounds of ammunition are allowed, but only for the rifle you are bringing along. For clients hunting with a bow, we have specially made bow-hunting blinds situated along a good number of waterholes. These are made from concrete to look like ant hills and will keep you safe from the big game on the property. Our hunting vehicles are custom built 'Uris'. With a Toyota engine and a body made from steel and tubing, these sturdy vehicles will get you far into the bush. A winge at the front and good tyres make for good transport even in soft sand. Apart from the driver (your PH), the Uri can take up to four passengers (one of which will be your tracker). One or two dogs will also be joining you on the vehicle. 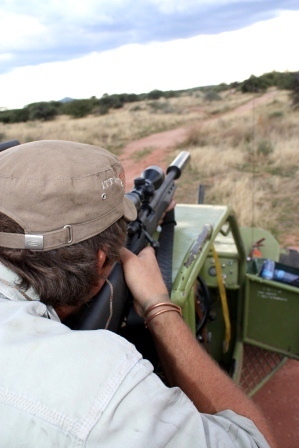 Most trophy animals can be loaded on to the back of the Uri with the help of another winge at the back. 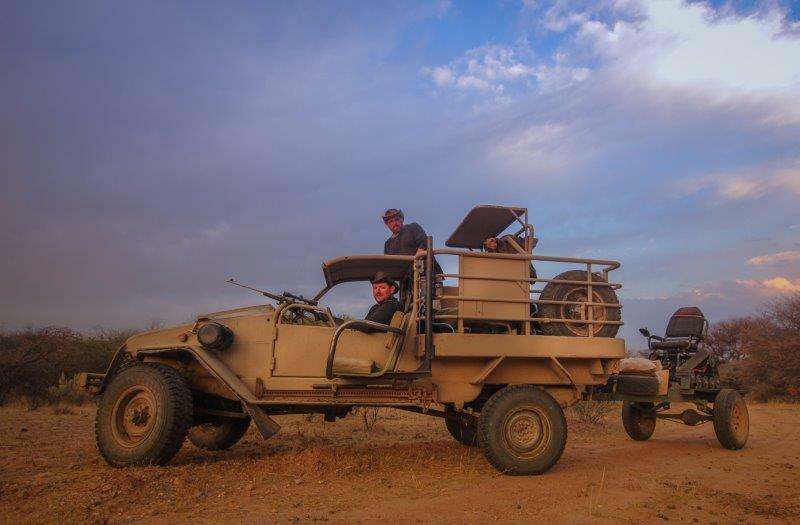 A custom-built vehicle with a loading ramp on the back is used to assist our hunters in wheelchairs. 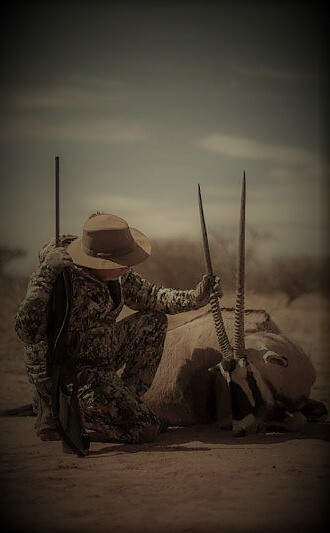 Jan Oelofse Hunting Safaris has all the necessary certifications to carry out the skinning and dipping in-house, no third party is made use of for these services. A dedicated skinner skins, salts, dries and folds your skins to perfection. Your trophy shipment is handled with great professionalism by ourselves and International Air Cargo Services. 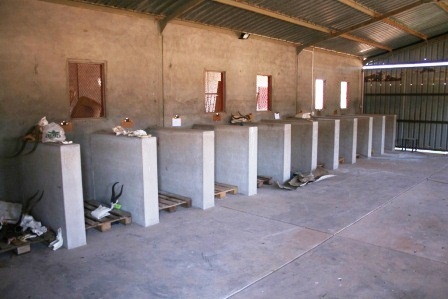 The skinning facilities are unique and better than any facility you may find at most other Namibian or African outfitters. Smooth loading and off-loading, ingeniously designed facilities prevent the animals from being dragged at any time. We take great pride in delivering high qualitiy hides such that your African experinece may above all be a memorable one! We suggest that clients choose a taxidermist close by to where they stay. Not only is it easier to ship skulls, horns and hides than full mounts, but it is advisable that you actively take part in the design and shaping of your mounts. This is best achieved by personally visiting and discussing yur preferences with your local taxidermist. If you are unsure of which taxidermist to use, do not hesitste to contact one of our references in your area. You do not need to bring a lot of clothing along. We do daily laundry at no additional charge. Bring along khaki, olive, green or camouflage trousers and long-sleeve shirts. A good pair of sunglasses, a wide-brimmed hat and lots of sunscreen lotion is advisable. During the winter months, bring along a padded windbreaker, mittens, a shawl, a beanie and ear warmers. The winter mornings during June, July and August are very cold, especially in the open vehicles. Bring comfortable, well ‘broken-in’ boots. Perhaps you would want to wear gaiters. Don't forget to bring binoculars, sunscreen lotion and camera! 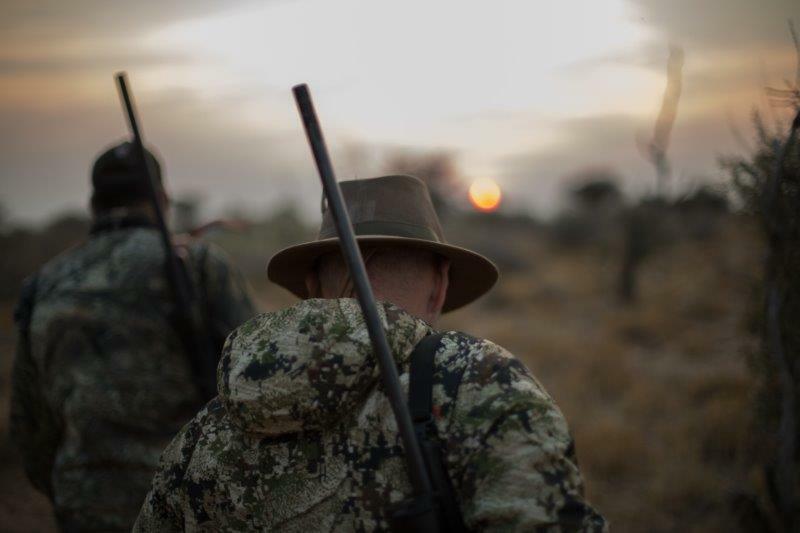 Our Professional Hunters have gained much experience in the field by dedicating between 15 to 30 years to their profession, which is equally their way of life. They will gladly share their tremendous experience and knowledge while hunting. 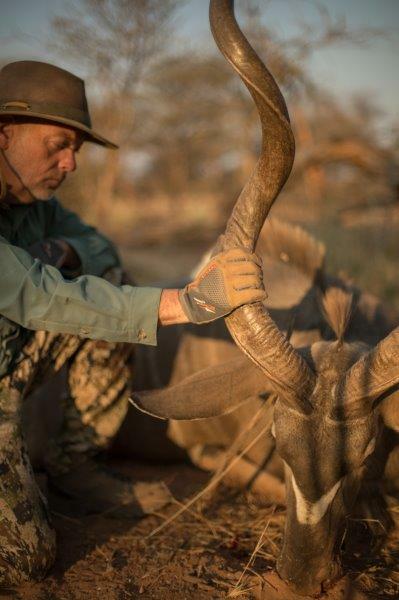 Steve, Fillipus, Naftali and Rudie have accommodating personalities and are committed to ensure that your hunt will be successful, safe and enjoyable. 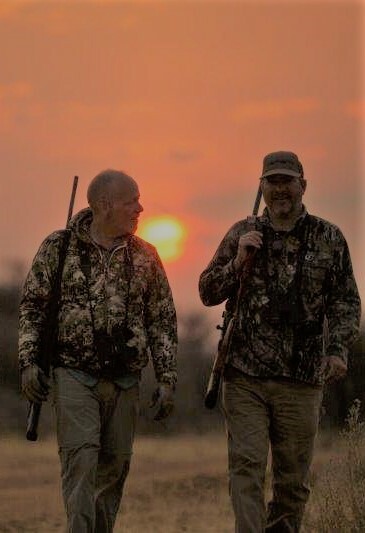 You can rest assured that ourselves and your Professional Hunter, as well as our trackers, skinners and the rest of the Team will do the utmost to meet your expectations. 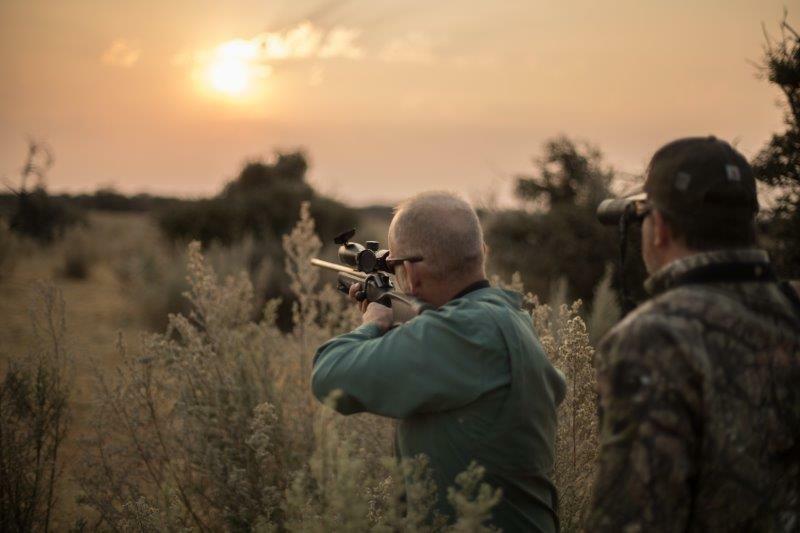 Depending on the species you will be hunting, and your personal preferences, your hunting day should start in the early morning hours when the air is still cool and fresh. After a hearty continental breakfast your PH will pick you up and you will be spending the entire morning out in the field. Most clients prefer to take a picknick lunch with them in order to not interrupt their hunt, but others may choose to return to camp for a cooked lunch. After a long day out hunting you will return to camp for a buffet dinner, which is served around a comfortable camp fire under the starry Namibian night sky in our traditional lapa. Here you may share your stories with us and other hunters in camp. The hostess, Brigitte, is an excellent cook and will cater for special dietary requirements. Non-hunting observers are welcome to join the hunting party throughout the whole day, or can rest at the lodge, or take a side-trip. 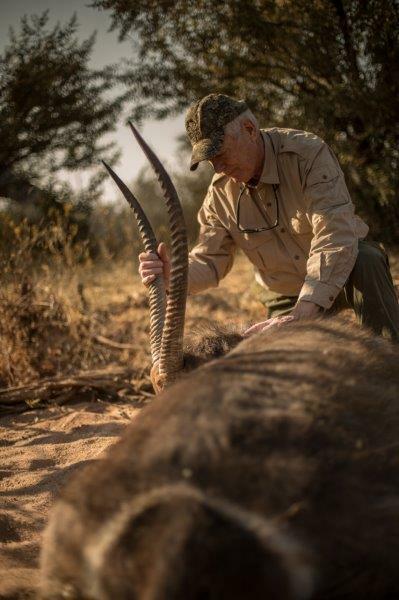 Steve Tors started his career as a professional hunter with Jan Oelofse Hunting Safaris more than 38 years ago. Born in the USA, he has truly become a man of the African wild. 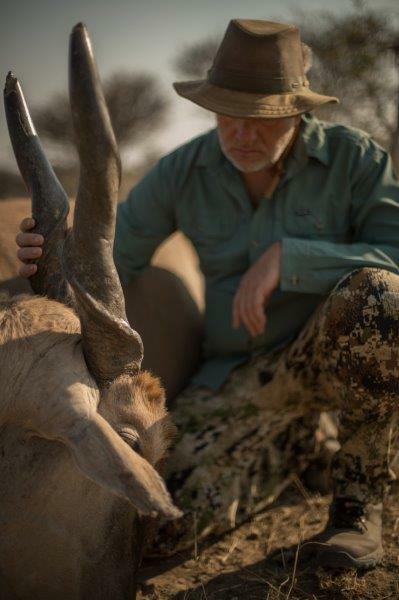 Drawing from many, many years of valuable experience out hunting, he has several stories to tell and can count himself as one of the best PHs in Namibia. 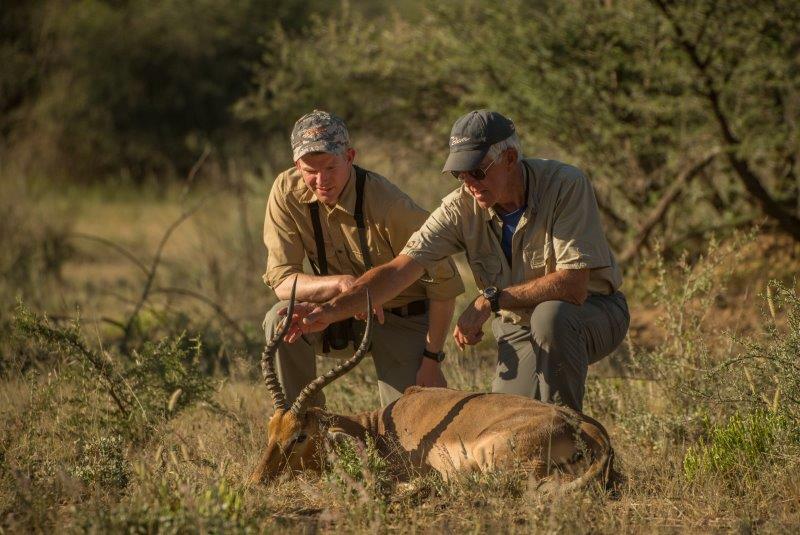 Steve has made a career out of his passion for the African wild - sharing it with his clients from around the world for all his life. Fillipus is one of the first black PHs in Namibia, together with Naftali. He mostly tought himself to speak and read English, and was given special permission to do his hunting exams orally. He passed with flying colours, earning himself formal recognition for an outstanding talent for tracking and understanding wildlife. Naturally cool and collected, Filipus is above all a reliable and trustworthy professional, known to remain level headed even in the most dangerous situations. 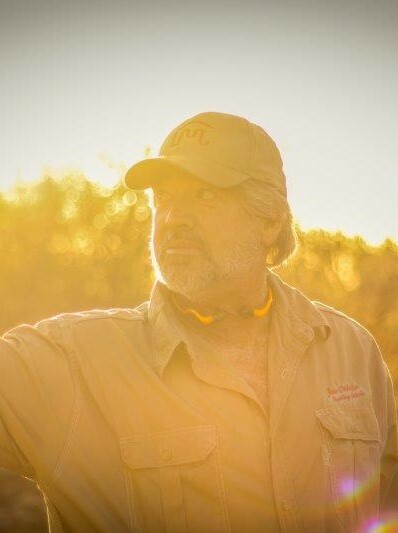 Rudie has been with Jan Oelofse Hunting Safaris for more than 15 years and has over the past years specialised in providing a very unique type of hunt: Rudie has taken countless disabled clients on unforgettable hunts, enabling them to realizing a dream of a lifetime. Rudie's compassion, patience and skill in this regard are unequaled. Sharing his sincere interest in the wild with every client, Rudie is capable of guiding clients regardless of age or physical capabilities. 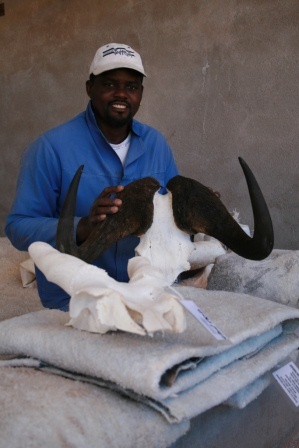 Naftali obtained his professional hunting license together with Filipus, as one of the first black PHs in Namibia. He can date his forefathers back to the San, the first bushman tribes known to hunt and thrive in Namibia. Honoring his formidable ancestry, Naftali can "track a fish through water" and calls the veld his home. Naftali is lively, fun-loving and cheeky, and he is sure to entertain his clients during a hunt!